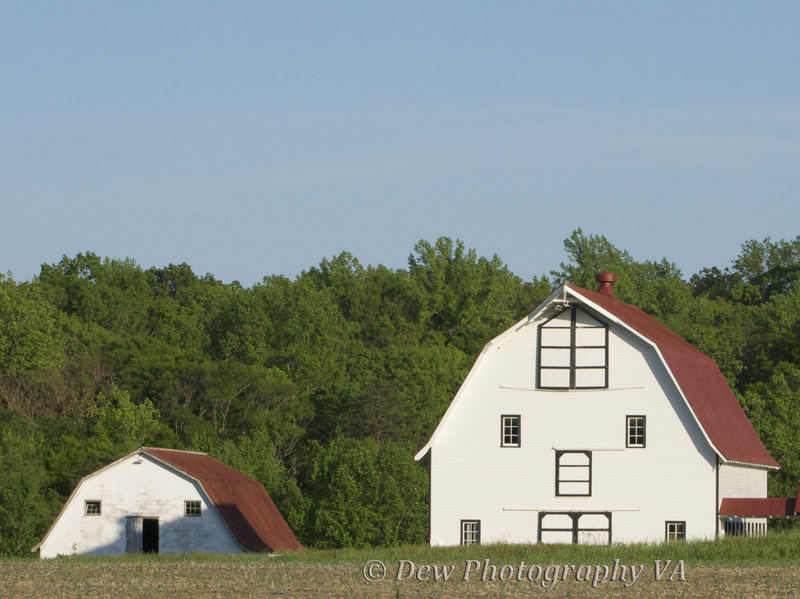 The Stonewall Jackson Barn Series would be one long in the making and its meaning has evolved for this photographer. It all started when my Aunt pointed this beauty out to me while driving the back roads to my parents house. However, it would be approximately 2 1/2 years before I would have the opportunity to get my shots. First, the Dew Photography VA bodyguard would be proud of me on the day the shots were taken. I did not just pull off onto the side of this two lane and at times curvy road for my picture taking. Instead, we (my daughter and I) pulled into a driveway across from the barn. However, in true Whitmore fashion, my daughter would have me laughing, after I finished commenting how 'bodyguard' would be proud of us for being safe and pulling onto the beginning of a long driveway. "Sure...But, we lost all phone signal when we pulled in here. That is so nobody can find the bodies when they get us", she commented. 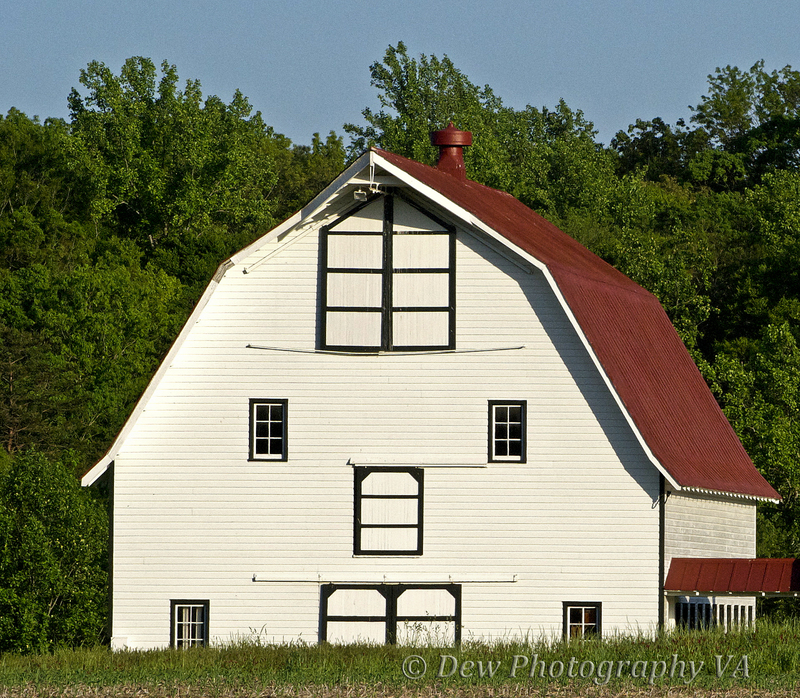 One of the things which drew me to this barn is the face the windows and doors create. Not to mention how nicely it is kept throughout the year. As I began processing the photos, the story in my mind would begin to evolve with the three pictures in this series. I hope you enjoy the series. This picture with the other side showing reminds me that we all need to be attached to others. We can't be an island. We do have to times where being alone is exactly what we need but we were not created to be alone all the time. God created us for relationships and this is a reminder which this photographer needs to heed. 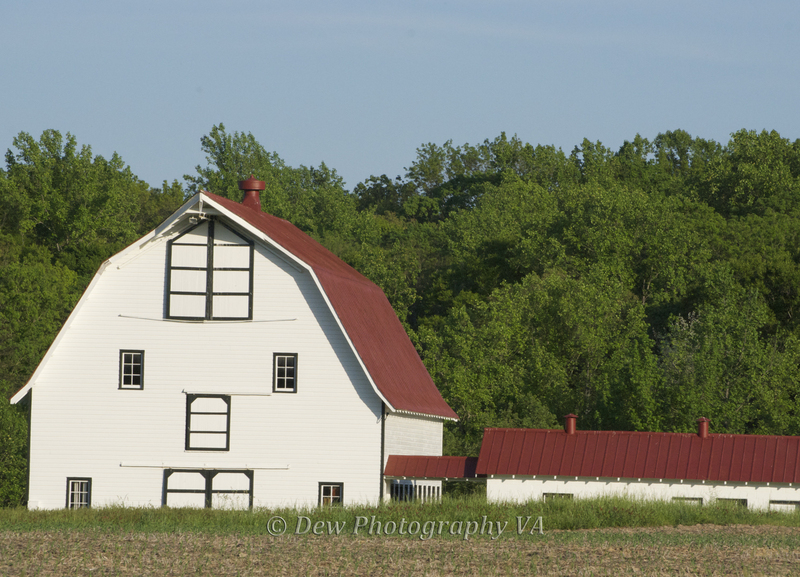 The Big Barn and the Little Barn make me smile. They both have faces. I once told someone how the shadow on the little barn initially annoyed me. However, the longer I have looked upon it I have come to see the big barn as the parent and the little barn as the child. Even though the two don't show a connection the eye can see the shadow demonstrates how the child is being protected by the parent. The person's response, "Wow, that is getting philosophical." Even today, as I type the correlation between the larger barn being God and the smaller being us is taking formation in my mind. Therefore, even though I share the story with each of my "Life of a Picture" series photos, my true hope is the photo's life will continue to grow and flourish.